If size is what you're looking for, stop searching immediately. These Brown 13 x 19 envelopes are rarely beaten in terms of size. If you have large size documents, print-out, or anything else thin, these are the envelopes for you! Brown 13 x 19 Envelopes are currently only available in one style: Manila Brown Kraft! What more can you need than this classic look. 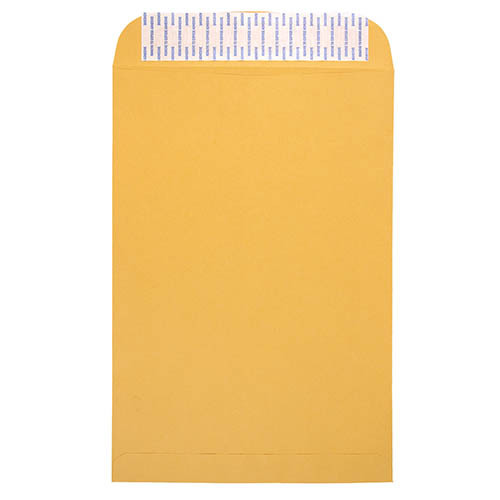 If you're looking to make a statement, carry one of these natural looking envelopes into your next meeting and whip out your latest project. 13 x 19 Manila Brown Kraft Envelopes are sold only in cartons of 250 envelopes. They feature an easy-to-use peel and seal closure, which means no licking envelope flaps! You're getting all the envelope you'll ever need at the best possible price!